IT is in the league of Buniyaad and Tamas. Spanning three generations Rajdhani, 8.30 p.m. every Wednesday on Star Plus by Bobby (Bandit Queen) Bedi, is the story of individual passions, greed and the pursuit of power. 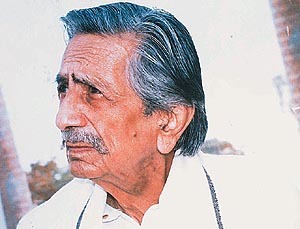 The central theme is of desire and betrayal, where the microcosm is an old feudal family, headed by Dadaji (Bhisham Sahani) and his two sons  Digvijay, a prosperous farmer and V.V. a top politician who has the makings of a prime minister. It represents people of the capital, their lifestyles and their penchant for wielding power. It revolves around the family members of Dadaji, their friends, detractors and everyone who influences their life and destiny. The strength of the serial lies in the vividly depicted intrigues and manipulations which politicians resort to in their obsessive pursuit of power. And that goes to make Rajdhani a gripping drama. Theres some good news for fitness freaks, specially women. 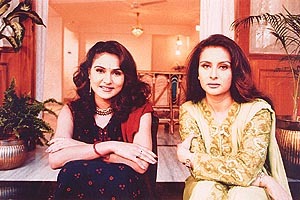 The Chust Drust show starting shortly on Zee, is a complete health magazine devoted to women and anchored by former film star Poonam Dhillon. The show will encompass all aspects of womens health, be it physical, emotional or mental. The main focus is the women herself. The show sets out to empower her with knowledge about her body, diseases, ailments and about symptoms and treatment. What makes it different is that it does not give you just one line of treatment or prevention. It provides viewers with alternatives and options available in treatment, risk factors and comparative benefits. This is a show for women with health on their mind. This is their chance of getting medical advice without having to pay the prohibitive fees of top specialists. From a superhero he is now turning into a crusader. 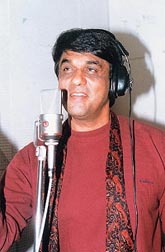 Shaktimaan Mukesh Khanna is now putting his popularity to good cause and turning his attention to environment-related issues. For a start he has cut an album in which he musically highlights the importance of environment and natural resources. The catchy beat of some of the songs has already caught the imagination of kids who mainly comprise his fan following. Shaktimaan has also declared war against use of plastic bags. Some special scenes are being created in the serial which will educate children on the campaign against plastic. "The idea is to do something positive with the immense popularity of Shaktimaan" says Khanna and adds, "Since kids are so fond of the character, they will listen in all sincerity." If more and more serial makers think up of similar ways of fusing entertainment with information, television could truly become a vehicle for social change. Most peoples heart would stop beating if they were asked to jump out of an airplane, let alone jumping out with four cameras strapped to various parts of the body. But for Tom Sanders, aerial cinematographer extraordinaire, this is just another day at the office. This summer Tom will be the official cinematographer for the World Free Fall convention in Illinois, USA. He will capture footage of 160 skydivers as they leap from a Boeing 727 at 14,000 feet and attempt an aerial formation. On May 25 at 10 p.m. National Geographic in its Great Adventures series takes you on a breath-taking, adrenaline  pumping walk with the worlds greatest sky shooter. The story begins more than 200 years ago. Napoleon Bonaparte was only 29, he had just wrapped up military victories in Italy and was hungry for a new challenge, but where? 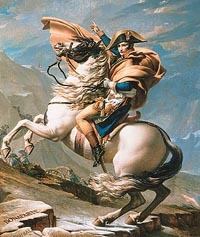 "We must go to the East," Bonaparte said after his victories in Europe. "All great glory has always been gained there." So, following in the footsteps of his hero, Alexander the Great, Bonaparte set sail for Egypt. Napoleons Obsession: the Quest For Egypt on May 25 on Discovery relives Napoleons fantastic adventure through deserts of Egypt as this seldom told tale of war and exploration comes to life. Set amidst the mysterious pyramids, the Nile river and towering temples, it is more than the oft-repeated profile of Napoleon. Its an exploration of his intellect. His interest in art, literature, science and mathematics. Go ahead and explore Egypt through the eyes of one of historys most charismatic leaders.